The Eurasian lynx has been missing for about five days. 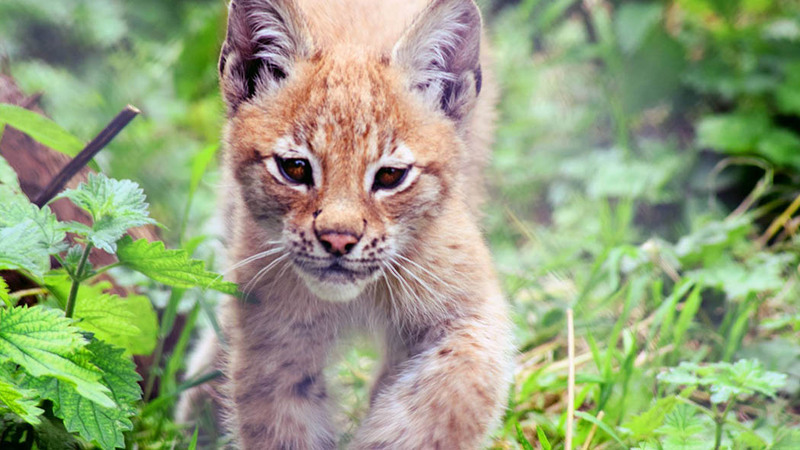 The young Eurasian lynx, Lilleth. Whilst the public has been encouraged the lynx, Lilleth, would unlikely be a danger to humans, Welsh farmers have been left feeling slightly less confident after Dyfed-Powys Police warned she ‘may attempt to take livestock or pets as food’. It is thought the lynx went missing ‘sometime over the last five days’ from the Animalarium in Borth, Aberystwyth. A Dyfed-Powys Police spokesman said: “Police are advising public in the area to be alert and vigilant. Although the link between lynx and livestock came as no surprise, it added fuel to the fire as farmers continued their battle with Lynx UK Trust over the launch of six Eurasian lynx in Kielder Forest, Northumberland. Sheep farmers have been notified a compensation scheme would be put in place but the National Sheep Association said it remains concerned about the long-term impact of the project if it goes ahead. Dyfed-Powys Police added: “We do however advise that the animal should not be approached as it could become aggressive if cornered. The Borth Wild Animal Kindgom Facebook page said it had spotted her twice on the hill just behind the zoo, ‘which means she has not gone far’.